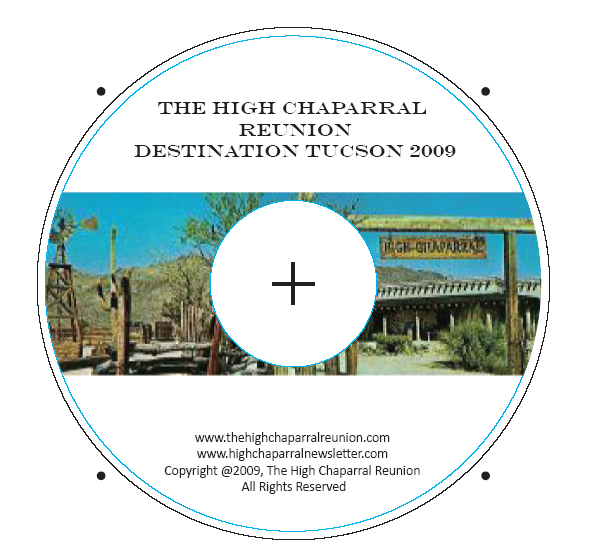 We already have 21 fans registered for The High Chaparral 2011 Reunion on October 21- 23 in Tucson! The 3-day weekend package is only $320, and you can pay in installments through the online website at wwwthehighchaparralreunion.com. 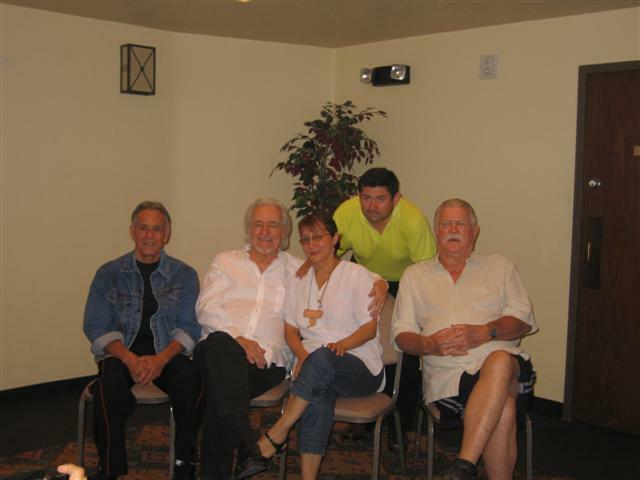 Visit The High Chaparral Reunion website for details about registration costs and all the planned events. 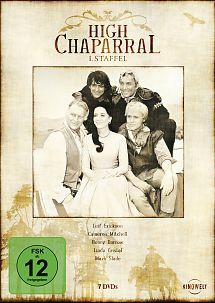 A 7 DVD set of The High Chaparral in German and English is available from Kinowelt, a leading film distributor and DVD provider in Germany has announced they will release Season 3 of The High Chaparral in June. Seasons 1 and 2 DVDs are available on Amazon Germany. The Kinowelt DVDs are in PAL (European) format with both German and English languages and Dolby sound. In the U.S an all region/all format DVD player is required to read the PAL formatted discs, however most newer model players are all region. Check the manufacturer/model documentation to be certain. Computer DVD players will often play back a PAL formatted disk so the episodes can be watched that way if the TV DVD player won't accept the PAL format. The first season set includes the two hour pilot. Episodes on the Kinowelt set have crystal clear, crisp sound and picture quality. Regular season episodes appear to be complete and uncut and of exceptionally high resolution. Most people are fortunate if they have one good career. and radio host. 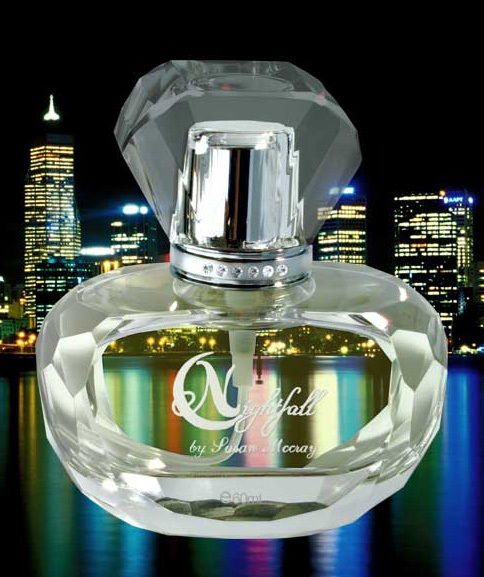 And as if that weren’t enough, McCray has recently fulfilled a childhood dream by creating and launching her own fragrance called Nightfall. down the love of the art of makeup and fragrance. Hollywood sidetracked Susan. As a young woman in her early 20’s, she climbed the ladder, First in 1967, as a secretary in front of the casting office that worked on Bonanza and High Chaparral and then as a casting secretary where she was allowed to help out with the shows. 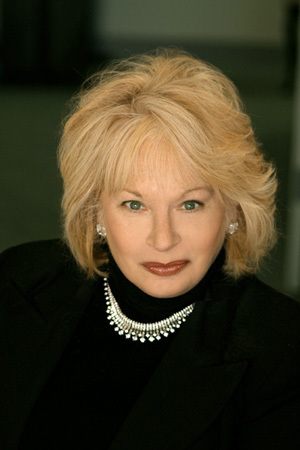 In the early ‘70s, she went to work for Paramount’s casting office, working on such shows as Laverne & Shirley, Happy Days, Mannix and the Odd Couple. It was there she received an incredible phone call from Michael Landon. “He said, ‘The women you’re working with were just submitted an offer to cast Little House on the Prairie,’” McCray recalls. “I would rather just have you with me if you’re going to cover the show,” She remembers, still amazed by his call. “Those kinds of things so rarely happen,” she says. “Mike was a uniquely special individual. He just had a way of writing something that people could relate to. 2003, she produced a CD of her father’s work called The Legacy of a Man and His Music, a tribute to her father, followed by one in 2007 called Warm Heart…Cool Hands (A Tribute to My Friend). In 2005, McCray also began a radio internet show called Getting to Know You with Susan McCray which broadcasts on KSAV.org and airs every Tuesday evening at 6:30. She has just begun a second show called Orchestra Hall, about classical music, which runs the first and third Sunday of the month at noon. Two years ago, after 26 years in Malibu, the McCrays (married since 1984), moved to a home in Westlake with, ironically, a view of the Bonanza location. Then it felt like time to rediscover her childhood passion, so she set about coming up with the right fragrance. Visit Nightfallbysusanmccray.com, perfect for a gift or special treat for yourself. Mallory Furnier, Assistant Archivist at the Gene Autry National Center in Los Angeles, wrote to alert High Chaparral fans about a new tribute to Chaparral creator David Dortort. As part of a series - Exploring Highlights from the David Dortort Archive - The Autry National Center’s Institute for the Study of the American West is currently processing the donated papers of novelist, screenwriter, and producer David Dortort. Every 1st Tuesday of the month the Autry Libraries blog will feature highlights from the collection in anticipation of processing completion in June 2011. On The High Chaparral set, Leif Erickson likes to brag about what a good cook he is. He got his chance to prove it in the series' Thanksgiving show. He actually cooked the turkey seen in the last scene. He stuffed it with his own special bread dressing with oysters, sage and chestnuts. Linda Cristal has already used some of her High Chaparral loot to surprise her 2 young sons with a gift of 2 Welsh ponies. They'll be spending time with Linda on location in Arizona where they've also been promised they can take horseback riding lessons. 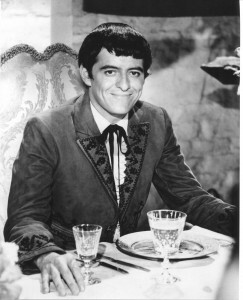 Henry Darrow, of NBC's The High Chaparral, uses Indian sign language frequently in the 1967-68 series. He has learned 300 signs. His only problem now is to find Indians around the location site near Tucson, Ariz. who know how to talk back. Don Collier, High Chaparral's ranch foreman Sam Butler, took a screen punch from legendary John Wayne in 'The War Wagon'. After it was over, Collier, on the receiving end of Wayne's powerful left, told set onlookers that it was the most lethal movie punch he'd ever taken. Actor Cameron Mitchell, who plays Buck Cannon on The High Chaparral television show, welcomes Rudy Ramos, 19-year old newcomer, to the Cannon family. 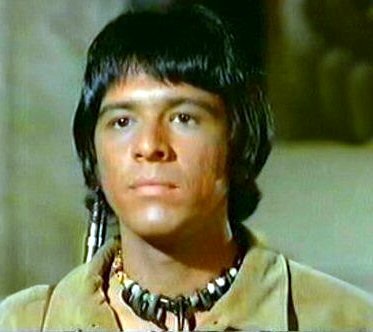 Ramos, as a new regular character, Wind, will play Buck's half-breed son, starting with the series' first show of the new season. 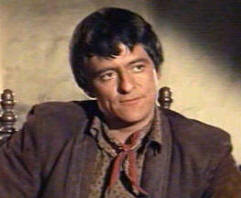 In January, Henry Darrow appeared in the PBS series, Pioneers of Television episode, Westerns. If you missed the original broadcast check your schedule as PBS frequently rebroadcasts this popular show, or see the PBS website. The following article is from the Wilmington Star News Online. Last week, PBS’ “Pioneers of Television” series showed how “Star Trek” creator Gene Roddenberry was able to explore topical issues like race relations by setting his show in the distant future. This week, the series explores how TV Westerns did the same thing – by setting their stories in the past. And one Wilmington resident played a key role. Among the TV icons interviewed in tonight’s episode (airing at 8 p.m.) is Henry Darrow, who starred in “High Chaparral” from 1967 to 1971. The actor has lived in Wilmington with his wife, Lauren Levian, since 2002. “I’m not a Latin actor or a Hispanic actor. I’m an actor who happens to be of Spanish heritage,” he says. Darrow, who filmed his segment with the show’s producers last January in Wilmington, also reveals that he and his co-stars often were given freedom to invent their own lines when the script called for them to speak Spanish. 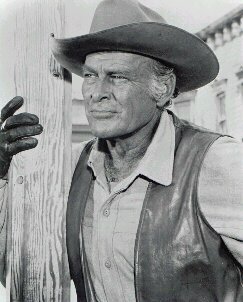 A fixture in TV Westerns of the ’60s and ’70s – “The Wild Wild West,” “Bonanza,” “Gunsmoke,” and “Zorro” are on his resume – Darrow also comments on some of his fellow “pioneers.” The episode includes interviews with Robert Conrad (“The Wild Wild West”), Linda Evans (“Big Valley”), James Garner (“Maverick”), Fess Parker (“Daniel Boone”) and Parker’s co-star Darby Hinton. 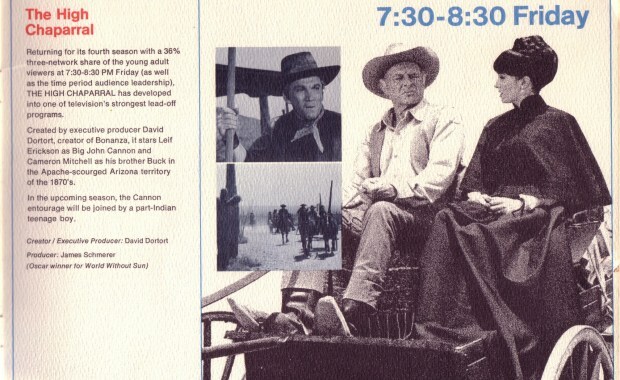 Watch “Pioneers of Television – Westerns” at 8 p.m. Tuesday on PBS. Henry Darrow is slated for a guest celebrity spot at Festival of the West near Scottsdale, AZ, March 17-20. This is a great opportunity to meet (or re-connect) with Henry and many other celebrities, and Festival of the West has lots of great activities, vendors, and film. According to Arizona Central, this 20th annual Festival will be the last, so if you're near Scottsdale this may be your last chance to experience this great Western tradition. Don Collier is slated to appear at the Palm Springs Westfest and Rodeo on March 24-27. 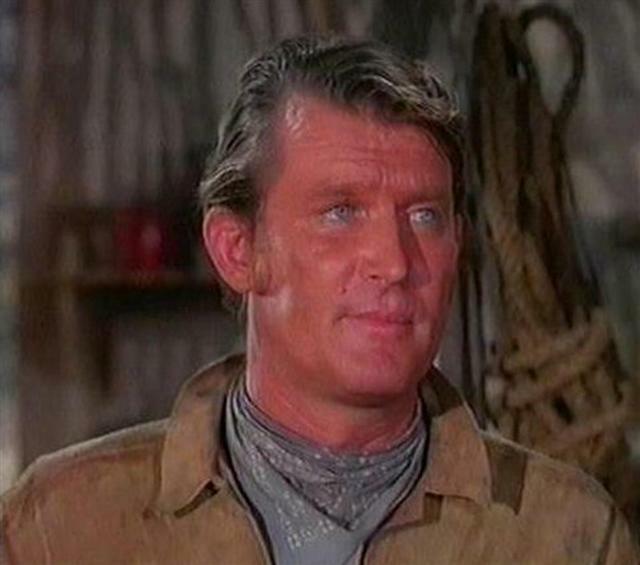 Billed as a Western World's Fair, there's even a Fantasy Camp for cowboys, so along with meeting High Chaparral's Sam Butler, what more could you ask for? The DVD is two hours of memories and a must for any fan of the show. $25 plus shipping/handling. Payments are processed securely via Paypal. Order here.